Thinking of buying a beach house? A lot of people tell us they would like to buy at Alligator Point or somewhere else on the beach. We can certainly understand this urge; we had it and gave into it. Here is a summary of what we have learned and think. 1 If you really like your house you will not sell it; so what does it matter what the house is worth? 2 You will spend more on maintenance than you expected; hey that’s saltwater right out the back door. Take a look at some nail heads or bolts on these houses! 3 If you really like the place you won’t rent it out in the peak season; that’s when you want to be there. Even if you only use it in the off season you will rent it less often, and for less money than the realtor trying to see it to you says you will. 4 There are real risks of loss; beach erosion and hurricane damage are at the top of the list, termites and wood rot are not far behind. You can lose money big time! 5 We never really have. A 2004 update. Prices being paid for waterfront property in this area have skyrocketed, a house that sold for $200,000 in 2000 is now close to $1,000,000! So it looks like we could actually make money but only if we sell the house before a hurricane takes it away. We have mixed feelings about this and are a bit worried about what it will do to our real estate taxes. It is bringing a new kind of owner to the Point, people with more money than us! Alligator Point has historically been a place occupied by middle class people from Tallahassee and South Georgia but the new owners are coming from all over the county. Spend a lot of time in the area you are interested in before you buy. This is especially true if you plan to live in the house one day. There are lots of pitfalls that may not occur to you until you experience them. For example the commute from Alligator Point to Tallahassee is a pleasant drive at midday when you are not hurried. But at rush hour you will be surprised to find how heavy the traffic can get. Particularly as you approach town. Keeping your lights turned down or off for turtles can be interesting and even a fun part of a vacation experience, but not being able to turn on the bedroom lights for six months out of the year can get old. A little advertised fact of Florida retirement is that a lot of people who retire to Florida move down here and don’t like it. Some move back after a year or two. Living in a place is very different from visiting it. If most of your experience at a place is on vacation remember that a lot of what you enjoy about the place is that you are not working, it’s novel, and you may have other friends or family with you. These things may not be true when you live here. Be advised water and shorelines change, the white sandy beach with clear water one day can be muddy or covered with seaweed and the water turbid another. Owning a beach house is a risk unlike owning a house anywhere else. The biggest risk we see is beach erosion. Beaches are dynamic geologic environments; they are constantly changing, eroding, depositing, and moving around. As a realtor put it the beach comes and goes. This is not very compatible with a house and fixed property lines. You can get some insurance against damage to your home, but you cannot get any insurance against beach erosion. If your lot erodes away into the Gulf it’s gone you have nothing. This is not just a theoretical concept it has already happened to a number of people at Alligator Point. When you drive along the rock revetment in front of the KOA look out into the surf and you will see remnants of pilings where homes used to stand. At one time there were homes on that side of the road with yards and beaches. Now as a result of beach erosion they are gone. These people may have had some insurance to cover the value of their homes, but they got nothing for the land and today own nothing. This is a risk you take. Beach erosion is inevitable, but it is uneven. Some places on Alligator Point have more beach than they did 50 years ago. From the point half a mile west of the KOA to about Kate’s Dream the beach has been stable, even growing in some areas, but who knows if this will continue. Before you buy research beach erosion in the area, you can usually count on whatever has been happening to continue to happen at least in the short run. If you are on an area of historical beach erosion then it will probably continue. If the beach is historically stable or depositing that will probably continue. Beach erosion is a natural process, but there are lots of things man has done to affect it. The two things that probably most aggravate the problem are reservoirs that reduce sediment load to the coast and dredged navigation channels that increase inshore currents. Global warming and sea level rise are also a problem. Alligator Point was formed by sand and silt that came down the Ochlockonee River and was sorted and moved to the west by long shore currents. Some of this sand was blown inland by the sea breezes building higher ground. Lake Talquin, a reservoir on the Ochlockonee near Tallahassee, cut off much of the sediment that naturally replenished Alligator Point’s beaches. The same is true of most rivers in the US and most beaches in the US. For example the Mississippi River muddy as it is has only 30% of the sediment it naturally carried. Dredging of channels aggravates this problem. These artificially deep channels result in higher inshore current velocity; which results in sediment transport from the shoreline to deeper off shore waters. So what sediment does come down the rivers is more likely to end up deep offshore than on the beach. Locally beach shape currents and structures effect erosion. Hard structures like jetties can have a significant impact, sand tends to accumulate on the up current side of a jetty and be eroded on the down streamside. Jetties have been used historically to stabilize beaches and have worked well for those on the up current side. We benefit from this effect, when you are at the house take a walk to the west towards the bird refuge, you will see a series of jetties put in by home owners a number of years ago. These jetties have probably stabilized our beach and the beach for several miles to the east of us, but just to the west of the jetties erosion has been significant. Our currents transport sand from east to west. Jetties have generally been outlawed because of the downstream erosion problems, they can be maintained but it is very hard to get a permit for a new one. Anyway before you buy get the best understanding of beach erosion in your area that you can. Hurricanes are a problem they can in one day completely destroy your investment. You can insure against at least some of this risk, but insurance is expensive and not very good. Actually what usually happens in a hurricane is less dramatic, more often you are on the fringe or are hit by a weaker storm, this happens a lot more often than taking a direct hit from a powerful storm. Rapid beach erosion, windows blow out, shingles blown off, yard plants and trees killed by salt water, these are the kinds of things that happen every few years. Kate’s Dream is a cinder block house built on a slab, the worst case for a hurricane and it could not survive a direct hit by a big one, but the house is 50 years old, and we hope it will be around another 50 because these direct hits are rare. Newer houses are built on pilings and this does reduce the risk of hurricane damage, although it does not prevent erosion. Pilings are not a complete cure, pilings have to be deep to be effective and many of the older ones are not very deep. We have seen houses on pilings collapse on Alligator Point because the pilings were not deep enough. Wood pilings don’t last forever, they eventually decay and need to be replaced, not a simple or cheap thing. The new concrete pilings look better, but are not yet really proven and rebar does rust. We don’t really like houses way up in the air, too far removed from the beach, but that is how they have to be built now. Click here to see some pictures taken after the last minor hurricane, Earl, to hit Alligator Point. Flood insurance is available for most beach houses, but not all be sure and check this out before you buy! You can’t get a loan for a house that can’t be insured, and you probably don’t want to run the risk of no insurance anyway. Flood insurance used to be subsidized by the federal government but it really isn’t anymore and it is expensive, we pay over $2000 a year. It is not very good insurance either, you can only get actual value insurance, not replacement value, and a lot of things are not covered. For example it does not cover clean up costs after a hurricane, septic tanks, decks, screened porches, storage buildings and so on. These are things that can be damaged or destroyed in a hurricane and are real losses that won’t be covered. The federal government does reinsure companies, which means that in the event of a large flood with lots of claims the feds will stand behind payments for losses. We have had lots of problems getting adequate insurance, we have had appraisals and lengthy negotiations with our agents and still can’t get what we think is adequate coverage. In Florida you should also be aware that you will need windstorm coverage, and this costs more than conventional homeowners. The result is you will spend a lot on insurance (we spend over $3000 a year for marginal coverage), and if you have a big loss you will not be fully covered. You will find owning a beach house puts you in a much more restrictive regulatory environment than most people are used to or familiar with. There are reasons for this, some good. You are on a sensitive environment that is limited and lots of people want to protect. This can lead to some difficulties for the homeowner. For example to build a home you will need a Florida Department of Environmental Regulation (DER) permit. The requirements to get these can be onerous along side of normal building permits (which you will also need). The DER permit costs something like $2400 for a 1200 square foot house and they go up from there. 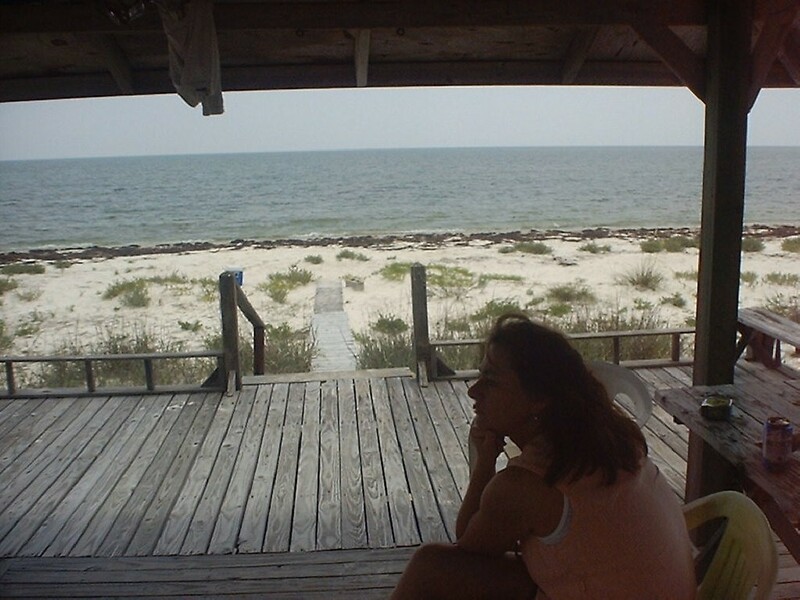 On the first beach house we owned on Alligator Point we wanted to extend the roof 8 feet over an existing deck and turn it into a screened porch. Rob is used to doing these things himself so he took on the DER single handedly, to make a long story short 2 years and close to 100 pages of submittals later we had a permit. Rob had an advantage, he holds a Florida Civil Engineers license and could sign all of his own drawings and applications, and most people would have had to hire a local engineer. There are strict limits as to how close to the water you can build, what you can do during turtle season (6 months of the year) and how high you can build. One real frustration is beach erosion and what you can legally do about it to protect your house, and that’s not much. We know jetties work, but you can’t build one. The DEP recommends a few things like building sand dunes, and while these are good ideas they usually are pretty ineffective. Rock jetties and barriers work but you pretty much can’t do that, you may just have to sit by and watch you house and property wash away. The DEP flies and photographs the shoreline regularly (spending those permit fees) to make sure no one does anything illegal. You are watched closely. As we said there are some good reasons for all these rules, for example jetties can damage down current beaches, and we know that, but it still doesn’t make abiding by them easy or fun. The beach is not a friendly environment for a house. Salt water is very corrosive and the house is bathed in salt spray. Whenever bubbles burst in the water a little microscopic droplets of salt water go into the air and blow in land. This gives the air that nice salt spray aroma we all like, it also attacks any and all metal it can find and a house has lots of metal. Nothing metallic lasts long on a beach house, not nails or screws or window screen, nothing. In the past 10 years we have had to buy 3 new refrigerators, that doesn’t happen inland. Get used to rust and maintenance. Water is a problem as well, when we get a thunderstorm off the Gulf water gets blown into everything, it is a wet environment things dry slowly. The salty build up on things tends to hold water as well. Wood rots faster here, paint peels sooner here, mildew grows faster here, it’s wet. Termites are another problem; we think there are termites in most all older wooden buildings at the beach. Fortunately termites eat slowly and so by keeping them down, having your house treated periodically, you can keep the damage to a minimum. Houses don’t last as long here as elsewhere anyway so the odds are your nails will rust away or the house will get blown or washed away before the bugs eat it. We have to rent our house out to make the payments; we are just middle class people who really wanted a beach house. There are some folks who can afford to buy and maintain a house without renting it and if we could we’d probably do that. Location is really important for a rental, we like the bay front houses on Ochlockonee Bay, in fact Rob prefers that location to beach front, but the rental potential is much less. For example in today’s market you can probably buy a beachfront house on Alligator Point for about $500,000 and maybe gross $40,000 a year in rental fees. To buy the same house on Ochlockonee Bay you might pay $300,000 but you’d be lucky to gross $15,000 a year in rent. Vacationers want to be on the beach, not the bay. On Alligator Point there are not many houses that are not waterfront, but in some areas they have first, second, and third tier houses. These will not rent anything like as well as beach front. Think about it, if you are going to the beach you want to be on the beach. Don’t count on making a profit, $40,000 sounds like a lot of money, but subtract $8000 (20%) in management fees, $3000 in insurance, $2000 in property tax, $3000 in utilities, and say $4000 in maintenance and you end up with about $20,000 net, not a very good return on a $500,000 investment especially considering the risks discussed above. Probably not enough to make mortgage payments on a $400,000 loan. Keep in mind that to gross $40,000 a year you will probably need to work pretty hard to rent the house out as well. You can’t expect to go through a realtor working on a commission basis to keep your house rented as well as you can do for yourself. Internet advertising is great it allows people with houses in places as remote as Alligator Point to find renters. Realtors make their real money from sales not rentals so you are a secondary business to them. We also find that by handling the management ourselves we can keep the house better maintained, much cleaner, and happier renters than through a realtor. But to be honest it took us years to find a really good local property manager and to figure out how to make this work. You can do it as well; it just takes time and work. It can be risky if you are trying to maintain a beach house and hoping that hurricanes and erosion stay away. We have owned and been spending money on beach houses for about 10 years. Even with recent down turns if we had put the same money we have spent on our beach houses into mutual funds we are pretty sure we’d have more money today than the equity in our home. We do know people who have made a lot of money on beach houses. Rob has a friend who bought 8 houses on Pensacola Beach in the 70s when prices were low; all were purchased well below $100,000. Today those houses are worth close to a million each. But in 1995 hurricane Opal hit and nearly wiped him out. Pensacola did take one of those rare direct hits. All of his houses were seriously damaged and some were completely destroyed. He had one cinder block on slab house right on the beach. Not one cinder block survived, he could not even find a cinder block from the house. After Opal all he had was a smooth concrete foundation slab. He did not have adequate insurance to cover his losses and he still owns some vacant lots where he cannot afford to rebuild. He was lucky that the hurricane waited for 20 years after he bought, the houses were mostly paid for and the values had increased substantially so he survived. If the storm had hit 10 years earlier it would have bankrupted him. In part it was knowing of his friend’s experience that has kept Rob from wanting to buy more than one beach house. We also know people who have lost money. After reading this you are probably wondering why we do, well that is not an easy question to answer. When you own a beach house your head is at the beach every day in a way no one who has not owned a beach house can understand. When you daydream you have something real to daydream about. It becomes a part of you. We understand some big boat owners have this same experience. It is hard to describe but it is real, Alligator Point and Kate’s Dream is a part of who we are in an enriching way. It has also given us some great vacations and family get togethers that would never have happened otherwise. In addition to Kate’s Dream, Rob’s brother’s family owns a beach house and Rob’s Aunt owns two beach houses on Alligator Point. Last summer more than 40 of our family were down at the same time, people came from as far away as California and Oregon, and we do it every summer. That kind of thing would not happen if we didn’t own the house. We also plan to live in the house one day, and when that day comes it will be a good place for us. We wouldn’t do it any other way. 2004 Update Real Estate prices took a big jump in the past couple of years and now the Gulf Front house you could have purchased for $200,000 five years ago is selling for over $1,000,000. So if we were to sell we'd make a lot more money than we ever expected to make. The problem is we don't want to sell, we don't want to live anywhere else, and Alligator Point is probably still the lowest cost beach front property in Florida. So the run up in prices has just driven our property tax bill through the roof, our property taxes trippled this year! Another problem for the prospective investor is that vacation rental rates have not gone up much, so there is now no way to make enough from your rent to pay much of a mortgage payment. Never imagined myself as a millionare, never thought a millionare would have so little cash as we do. Realtors We won’t go so far as to recommend a realtor but we have done business twice with Ochlockonee Bay Realty (850-349-2233) and like them. Tim Jordan and Marsha Tucker run things and are both nice people, Carol Dunn is one of their agents and we can honestly say that without Carol’s help we would not have Kate’s Dream. There are other area realtors, and we think most of them are decent honest people. We do think that you have to keep in mind that realtors make a living selling houses, not by giving financial advice or helping you find what you really want. You need to do your research before hand and then let the realtor help find what you have already determined you want. This area is undeveloped in part because the former St Joe Paper Company mostly owns the land. St Joe is the largest landowner in the state of Florida and was one of the biggest paper producers in the country. They own hundreds of thousands of acres of land in our area including something like 95% of St James Island, on which Alligator Point is located, and many miles of pristine water front property. For a long time we lucked out, being situated far from one of the paper mills but still in the middle of tracts St Joe managed for timber. A few years ago St Joe gave up the paper business and went into the land development business. They sold the paper mills and bought Arvida, formerly Disney’s land developer. St Joe’s corporate strategy is now to develop much of this area over the next 20+ years targeting retiring baby boomers. See the St Joe Company’s 2001 annual report for all the gory details. Until we saw this it had not occurred to us that we had no designated storytelling porches, we will see if we can get a DEP permit to build one! We also encourage outdoor showers! Through some kind of wheeling and dealing Arvida is trying to take over the FSU Marine Research Lab adjacent to Turkey Point and turn it into a private marina. We have heard rumors that Arvida is in negotiations to buy the Alligator Point marina. We are not sure how real any of this is, right now nothing much is happening on the ground and ever since we first started going to Alligator Point the local realtors have been fueling rumors that development is just about to take off. The perpetual dream of most local Florida developers and realtors is that another Disney World will appear in their back yard, but so far it hasn't happened. So we will have to wait and see, but the involvement of St Joe and Arvida has us worried. We also know it is kind of hypocritical to own a beach house and condemn others for development, but we can’t help it. When Rob lived in Wyoming he learned the term "California Environmentalist", it means someone who built his or her mountain cabin last year and now opposes new development. We have come to relate to the California Environmentalists and hope that the things that drew us to Alligator Point stay the way they are. Alligator Point the TV Show, strange as it may seem there is a television show called Alligator Point, as of summer 2003 the pilot had been shot but it has not aired and it is not clear when or if it will air. It is produced by Grammnet Productions (Kelsey Grammer of Cheers and Fraiser fame) for NBC. The story line is supposed to be based on Alligator Point, and much of the action takes place in an Oyster Bar on Alligator Point (it does not exist, there is no such place). It sounds a bit like a combination of Cheers and Northern exposure comes to the Redneck Rivera. The show was written by someone who grew up spending weekends and vacations here, and should know the place pretty well; he is related to Dale the person who manages our house for us, if you rent from us ask Dale about it. The pilot was shot inNorth Carolina rather than at Alligator Point. Rumor has it that there were not enough support facilities here for the cast and crew; apparently they expected things like nice motels and room service which are not available on Alligator Point. We are really ambivalent about this, we kind of like the idea of someone taking an interest in Alligator Point, but we do not want the publicity. We are secretly hoping it will be a flop, but guess we will just see what happens. Take a look at a fan website for the show at http://home.earthlink.net/~hjjugovic/index.htm for more details.